Blue Lizard is a custom software development company working in the desktop, web, mobile and cloud spaces with the latest technologies. We are dedicated to providing you with the best possible experience from design and conception through to the final solution. We only serve the North Carolina market as we value personal interactions with our clients. 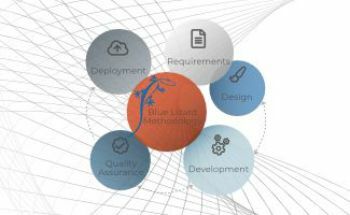 Custom software development, UI design, Ad Hoc reporting, technology consulting, application hosting are just some of the services that Blue Lizard offers. We live for technology and continuously adapt to new ways of doing things for the best possible value and experience for our customers. Blue Lizard has been in business for nearly 2 decades and has developed a methodology that works for us and our clients. We use tools to help us with the projects, third-party libraries that aid in development and our own Blue Lizard Building Blocks that integrate into the custom applications we write. Our results speak for themselves with our clients obtaining productivity gains, cost reductions, efficiences and overall business process improvements. We work with our clients to recommend solutions that will provide tangible benefits to their business, not merely window dressing. "We interviewed a number of IT companies and we tried a few before Blue Lizard. We needed a large, complex software overhaul, Blue Lizard worked with us for about 10 months. It involved a number of different components, written in Visual Basic. They did everything we asked and provided great suggestions. Even going beyond the immediate job to offer experienced advice about the use of other components. We would highly recommend them, they did what it took to get the job done properly, and always offered a solution. They have a great work ethic and a great attitude. "Our experience with Blue Lizard was wonderful. They kept us informed throughout the entire project, introduced a series of checks and balances, kept on track and responded quickly to deadlines. They really listened to our needs and remained completely accessible and responsive. They went beyond our requirements to add functionality that wasn’t even expected but has become an incredible asset. We would highly recommend them." "We were very impressed with what Blue Lizard custom software could do for us. They are excellent to work with, they take their time and listen to what you have to say, and ensure the program works to your specifications. They created a database for us, wrote the program, administrated it for us and came back as often as we needed them to. The database we now have is easy to use and we love it. They offered a lot of suggestions and updated technology. We really felt we got more for our money because they were involved. They are great people." "Working with Blue Lizard has been terrific. They began every project by really listening to us and understanding our specific needs. They came back to us with solutions that either met or exceeded our expectations. They always came through even on tough projects with impossibly short deadlines. To us, they were the 'get it done guys." "Blue Lizard developed our human resources database application. I could not do my job without it. It’s powerful, but very user friendly. Blue Lizard’s people do not confuse you with technical jargon. They speak clear everyday English. They also deliver what they say the will." "They have always been available to assist in a crisis. Once we deleted some data that we should not have. They responded immediately and helped us recover the deleted data. I have referred them to numerous people and all of them have been just as impressed as we have been." "Blue Lizard was very dedicated to our project. They listened well and asked questions until they were sure they understood our needs. They impressed me the entire time. We worked over a 1,000 hours together and anytime we called them with a problem, they would respond immediately. They returned calls quickly and were always there when we needed them. They always got the job done right. The reports they created for us saved our staff two weeks of work a month. You can’t go wrong by using Blue Lizard." "I chose Blue Lizard custom software because I knew I wouldn’t be treated like just a ‘small fish’. I liked the size of their company; they were big enough where I could rely on them. They were responsive, knowledgeable, and up to date on current applications and technologies. The top guys were personally involved in our project and that was great. What really impressed me was their raw responsiveness – they were willing to work at night, weekends, until they completed the job." "It was an excellent experience working with Blue Lizard. They created a customized software solution that integrated various data sources. They facilitated the entire process helping us to quickly identify our business requirements. 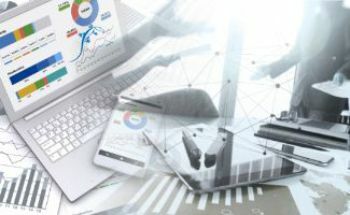 Blue Lizard was able to analyze our business functions create a solution that allowed a functionality that supported users other than ourselves which provided a more comprehensive approach." "Our experience working with the Blue Lizard staff developing a database can be summed up in one word: Amazing! 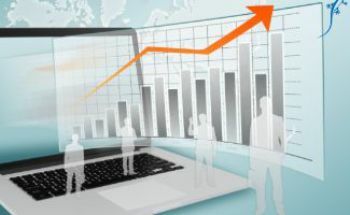 The reports we are able to generate are so comprehensive that I’ve been showing off the results to everyone." "The Blue Lizard staff were very flexible, fun to work with and willing to learn anything and everything about our agency. This was very important for us as our program required an individualized database that was developed to meet the particular needs of our services. The end result is simply excellent, the process was simplified so I could easily understand it, and the service has been outstanding!" "Blue Lizard custom software has played an important role in developing the medical records program for our practice. They have given us a variety of ideas and information sources. The company has been patient and has brought solutions to each of our problems. They are also very easy to get in contact with, and willing to work closely with staff and contractors associated with our project. If needed again in the future this is the company we will choose." With Blue Lizard hosting your solution, it will be up and running 24/7 with 99.99% uptime. We constantly monitor and handle any potential issues in real time. If Blue Lizard is supporting the application with your existing infrastructure, we are always available to help keep the solution up and running and provide feature enhancements when needed. © Blue Lizard Technologies, Inc.